VAUXHALL VECTRA Z19DT 120 1.9 CDTI M32 CSC & LUK DMF FLYWHEEL AND LUK CLUTCH KIT. This brand new complete replacement kit comprises of the following. Brand new LUK dual mass flywheel. Brand new set of flywheel bolts. Brand new set of clutch bolts. This is everything required for a complete flywheel and clutch change. This unit is suitable for the following vehicle models. Vauxhall Vectra 1.9 CDTI 120bhp models fitted with the M32 gearbox, years 2002 onwards. These Terms will apply to any contract between us for the sale of Products to you (Contract). Please read these Terms carefully and make sure that you understand them before ordering any Products from our site. Please note that before placing an order you agree to these Terms. If you refuse to accept these Terms, you should not order any Products from our site. We amend these Terms from time to time as set out in clause 8. Every time you wish to order Products, please check these Terms on the product page you are viewing. These Terms, and any Contract between us, are only in the English language. 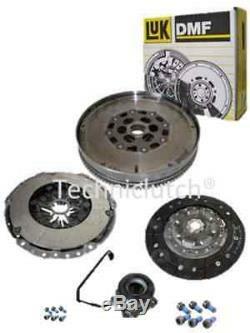 We are Nationwide Clutch Distributors UK ltd, a company registered in England and Wales under company number 05296413. Contacting us if you are a consumer: 1. Contacting us if you are a business. If you wish to give us formal notice of any matter in accordance with these Terms, please see clause 20.3. The images of the Products are for illustrative purposes only. If You Are a Consumer This clause 5 only applies if you are a consumer. If You Are a Business Customer This clause 6 only applies if you are a business. These Terms and any document expressly referred to in them constitutes the entire agreement between you and us and supersedes and extinguishes all previous agreements, promises, assurances, warranties, representations and understandings between us, whether written or oral, relating to its subject matter. You and we agree that neither of us shall have any claim for innocent or negligent misrepresentation or negligent misstatement based on any statement in this Contract. How the Contract Is Formed Between You and Us 1. Please take the time to read and check your order at each stage of the order process. However, please note that this does not mean that your order has been accepted. Our acceptance of your order will take place as described in clause 6.3. We will confirm our acceptance to you by sending you the Products. The Contract between us will only be formed when we send you the Products. Our Right to Vary These Terms 1. We amend these Terms from time to time. Please look at the top of this page to see when these Terms were last updated and which Terms were changed. Every time you order Products from us, the Terms in force at the time of your order will apply to the Contract between you and us. We may revise these Terms as they apply to your order from time to time to reflect changes in relevant laws and regulatory requirements. If we have to revise these Terms as they apply to your order, we will contact you to give you reasonable advance notice of the changes and let you know how to cancel the Contract if you are not happy with the changes. You may cancel either in respect of all the affected Products or just the Products you have yet to receive. If you are a consumer, you have a legal right to cancel a Contract under the Consumer Contracts (Information, Cancellation and Additional Charges) Regulations 2013 during the period set out below in clause 8.3. Advice about your legal right to cancel the Contract is available from your local Citizens' Advice Bureau or Trading Standards office. However, this cancellation right does not apply in the case of: 1. Any bespoke units/special orders mutually agreed on. Sealed audio or sealed video recordings or sealed computer software, once these Products are unsealed after you receive them. Your deadline for cancelling the Contract then depends on what you have ordered and how it is delivered, as set out in the table below: Your Contract End of the cancellation period Your Contract is for a single Product (which is not delivered in installments on separate days). The end date is the end of 14 days after the day on which you receive the Product. Example: if we provide you with a Dispatch Confirmation on 1 January and you receive the Product on 10 January you may cancel at any time between 1 January and the end of the day on 24 January. Your Contract is for either of the following: One Product, which is delivered in installments on separate days. Multiple Products which are delivered on separate days. The end date is 14 days after the day on which you receive the last installment of the Product or the last of the separate Products ordered. Example: if we provide you with a Dispatch Confirmation on 1 January and you receive the first installment of your Product or the first of your separate Products on 10 January and the last installment or last separate Product on 15 January you may cancel in respect of all installments and any or all of the separate Products at any time between 1 January and the end of the day on 29 January. 24 January is the last day of the cancellation period in respect of all Products to arrive during the year. To cancel a Contract, you just need to let us know that you have decided to cancel. If you cancel your Contract we will: 1. If you have received the Product and we have not offered to collect it from you: 14 days after the day on which we receive the Product back from you or, if earlier, the day on which you provide us with evidence that you have sent the Product back to us. For information about how to return a Product to us, see clause 9.8; 2. If you have not received the Product or you have received it and we have offered to collect it from you: 14 days after you inform us of your decision to cancel the Contract. If a Product has been delivered to you before you decide to cancel your Contract: 1. Then you must return it to us without undue delay and in any event not later than 14 days after the day on which you let us know that you wish to cancel the Contract. You can either send it back, or hand it to our authorised carrier. If we have offered to collect the Product from you we will collect the Products from the address to which they were delivered. We will contact you to arrange a suitable time for collection; 2. Unless the Product is faulty or not as described (in this case, see clause 9.6), you will be responsible for the cost of returning the Products to us. If we have offered to collect the Product from you, we will charge you the direct cost to us of collection; 9. Because you are a consumer, we are under a legal duty to supply Products that are in conformity with this Contract. As a consumer, you have legal rights in relation to Products that are faulty or not as described. Advice about your legal rights is available from your local Citizens' Advice Bureau or Trading Standards office. See clause 19 for our responsibilities when this happens. This clause 10.6 only applies if you are a consumer. We have refused to deliver the Products; 2. If the Products have been delivered to you, you will have to return them to us or allow us to collect them, and we will pay the costs of this. Please note that we have no control over these charges and we cannot predict their amount. You must comply with all applicable laws and regulations of the country for which the Products are destined. We will not be liable or responsible if you break any such law. The prices of the Products will be as quoted on our site at the time you submit your order. We take all reasonable care to ensure that the prices of Products are correct at the time when the relevant information was entered onto the system. However please see clause 13.5 for what happens if we discover an error in the price of Product(s) you ordered. Prices for our Products may change from time to time, but changes will not affect any order you have already placed. The price of a Product includes VAT (where applicable) at the applicable current rate chargeable in the UK for the time being. Our site contains a large number of Products. It is always possible that, despite our reasonable efforts, some of the Products on our site may be incorrectly priced. We will not process your order until we have your instructions. If we are unable to contact you using the contact details you provided during the order process, we will treat the order as cancelled and notify you in writing. Please note that if the pricing error is obvious and unmistakable and could have reasonably been recognised by you as a mispricing, we do not have to provide the Products to you at the incorrect (lower) price. You must rely on your own skill and judgment in relation to the Products irrespective of any knowledge which We may have or as to the purpose for which the Products are supplied or their suitability for their intended use. Fair wear and tear; 2. Wilful damage, abnormal storage or working conditions, accident, negligence by you or by any third party; 3. If you fail to operate or use the Products in accordance with the user instructions; 4. Any alteration or repair by you or by a third party who is not one of our authorised repairers; or 5. Any specification provided by you. Our Liability If You Are a Business This clause 17 only applies if you are a business customer. Nothing in these Terms limits or excludes our liability for: 1. Death or personal injury caused by our negligence; 2. Fraud or fraudulent misrepresentation; 3. Breach of the terms implied by section 12 of the Sale of Goods Act 1979 (title and quiet possession); or 4. Defective products under the Consumer Protection Act 1987. Subject to clause 17.2, we will under no circumstances whatever be liable to you, whether in contract, tort (including negligence), breach of statutory duty, or otherwise, arising under or in connection with the Contract for: 1. Any loss of profits, sales, business, or revenue; 2. Loss or corruption of data, information or software; 3. Loss of business opportunity; 4. Loss of anticipated savings; 5. Loss of goodwill; or 6. Any indirect or consequential loss. Except as expressly stated in these Terms, we do not give any representation, warranties or undertakings in relation to the Products. In particular, we will not be responsible for ensuring that the Products are suitable for your purposes. Our Liability If You Are a Consumer This clause 18 only applies if you are a consumer. If we fail to comply with these Terms, we are responsible for loss or damage you suffer that is a foreseeable result of our breach of these Terms or our negligence, but we are not responsible for any loss or damage that is not foreseeable. Loss or damage is foreseeable if it is an obvious consequence of our breach or if it was contemplated by you and us at the time we entered into this contract. We only supply the Products for domestic and private use. You agree not to use the product for any commercial, business or resale purposes, and we have no liability to you for any loss of profit, loss of business, business interruption, or loss of business opportunity. We do not in any way exclude or limit our liability for: 1. Any breach of the terms implied by section 12 of the Sale of Goods Act 1979 (title and quiet possession); 4. Any breach of the terms implied by section 13 to 15 of the Sale of Goods Act 1979 (description, satisfactory quality, fitness for purpose and samples); and 5. Events Outside Our Control 1. We will not be liable or responsible for any failure to perform, or delay in performance of, any of our obligations under a Contract that is caused by an Event Outside Our Control. An Event Outside Our Control is defined below in clause 19.2. If an Event Outside Our Control takes place that affects the performance of our obligations under a Contract: 1. We will contact you as soon as reasonably possible to notify you; and 2. Our obligations under a Contract will be suspended and the time for performance of our obligations will be extended for the duration of the Event Outside Our Control. You may cancel a Contract affected by an Event Outside Our Control which has continued for more than 30 days. If you are a business: 1. The provisions of this clause shall not apply to the service of any proceedings or other documents in any legal action. We may transfer our rights and obligations under a Contract to another organisation, but this will not affect your rights or our obligations under these Terms. You may only transfer your rights or your obligations under these Terms to another person if we agree in writing. This Contract is between you and us. No other person shall have any rights to enforce any of its terms, whether under the Contracts (Rights of Third Parties) Act 1999 or otherwise. Each of the paragraphs of these Terms operates separately. If any court or relevant authority decides that any of them are unlawful or unenforceable, the remaining paragraphs will remain in full force and effect. If we fail to insist that you perform any of your obligations under these Terms, or if we do not enforce our rights against you, or if we delay in doing so, that will not mean that we have waived our rights against you and will not mean that you do not have to comply with those obligations. If we do waive a default by you, we will only do so in writing, and that will not mean that we will automatically waive any later default by you. If you are a consumer, please note that these Terms are governed by English law. You and we both agree to that the courts of England and Wales will have non-exclusive jurisdiction. However, if you are a resident of Northern Ireland you may also bring proceedings in Northern Ireland, and if you are a resident of Scotland, you may also bring proceedings in Scotland. If you are a business, a Contract and any dispute or claim arising out of or in connection with it or its subject matter or formation (including non-contractual disputes or claims) shall be governed by and construed in accordance with the law of England and Wales. If you are a business, we both irrevocably agree that the courts of England and Wales shall have exclusive jurisdiction to settle any dispute or claim arising out of or in connection with a Contract or its subject matter or formation (including non-contractual disputes or claims). All payments must represent cleared funds before the goods can be dispatched. This listing is currently undergoing maintenance, we apologise for any inconvenience caused. The item "VAUXHALL VECTRA Z19DT 120 1.9 CDTI M32 CSC & LUK DMF FLYWHEEL AND LUK CLUTCH KIT" is in sale since Sunday, October 4, 2015. This item is in the category "Vehicle Parts & Accessories\Car Parts\Transmission & Drivetrain\Flywheels & Flywheel Parts". The seller is "techniclutch" and is located in Lancashire. This item can be shipped worldwide.